In green with black trim. 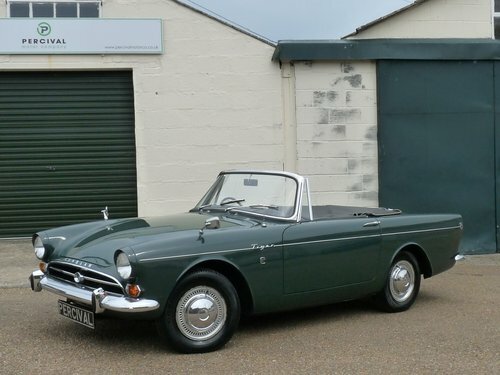 Sunbeam Tigers were first sold in the UK in March 1965. 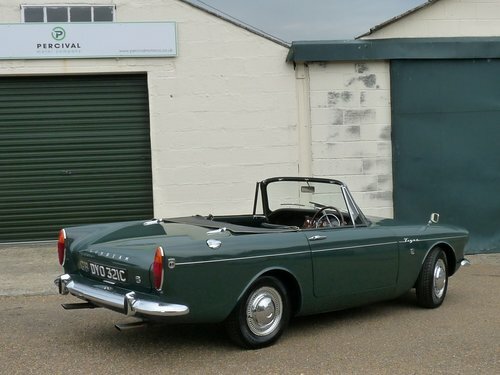 This fantastic early car was registered in April '65 and has only covered 52,000 miles since new and had only three owners in its lifetime. 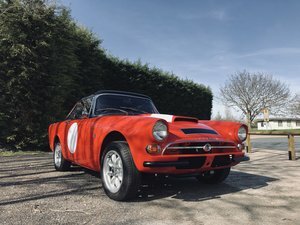 We believe that the first owner kept the the car until 2005 and the numerous MOT certificates in the area and the registration document back this up. We have a signed note in the file in 1975 confirming the mileage as 24,432 and MOTs before and after this show the mileage slowly increasing to its current reading. 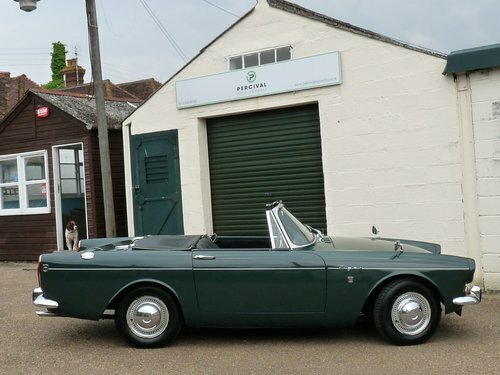 It has never been restored or modified and is in incredible, original condition. The bodywork has lightly faded paintwork which may well be original and shows no rust issues whatsoever. The door bottoms, sills and wheel arches are crisp and correct and the underside has never been repaired. 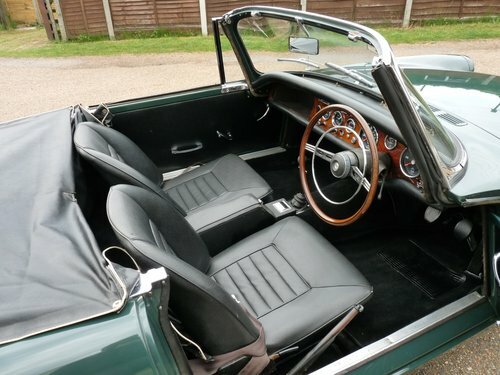 The interior is lovely and original with unmarked, original seats and trim. The hood is the original item. The car stills wears its original wheel trims and wheels. 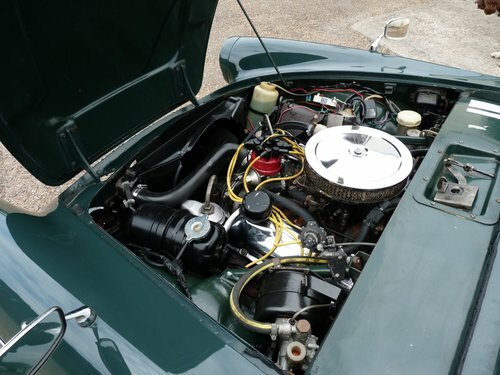 The engine bay is lightly soiled after fifty years of use as one would would expect and the only updates are electronic ignition and a discreetly fitted Kenlowe electric fan. The Tiger drives beautifully with its original lusty 4.2 litre V8 Ford engine and four speed gearbox. We have carefully cleaned and detailed the Tiger and it looks fabulous. 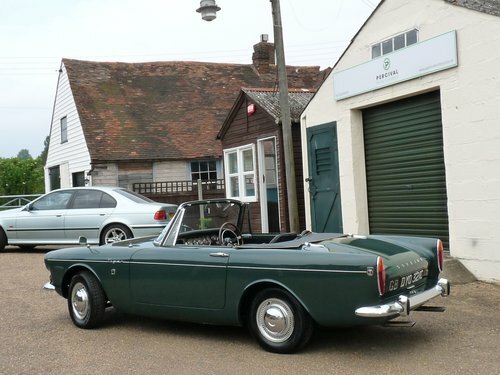 The owner has enjoyed the car for the last eleven years, using it sparingly and having it serviced every year. It's now time for this fine car to go to a new home. Possibly the nicest driving Tiger left - it has never been apart and feels tight and correct. A very rare and special car. 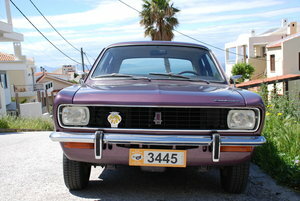 Sunbeam avenger saloon 1500 super violet 95000 k.m.fully restored 2009 with original parts NEW,mint condition.